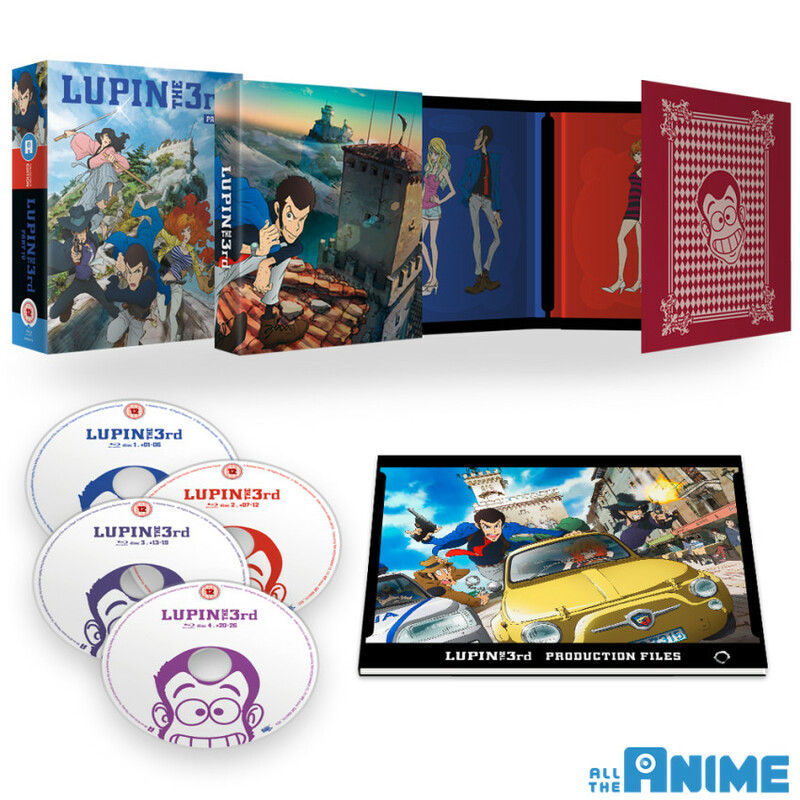 It has been nearly two years since Anime Limited announced that they had acquired the UK Home Video distribution rights to Lupin the 3rd: Part IV and today the distributor have revealed how they plan to release it; of which is explained in a rather lengthy blog post. In short Lupin the 3rd: Part IV will be released as a Collector’s Edition Complete Series Blu-Ray release in Japanese with English Subtitles. This release will also include the two bonus OVA episodes, of which were originally separate, and as per the norm of Collector’s Edition releases will come with a 60-page artbook packaged in a rigidbox and digi-pack sleeve that holds the four Blu-Rays. This Collector’s Edition Blu-Ray release is scheduled for releae on the 28th May 2018. In addition to this Collector’s Edition Blu-Ray release Anime Limited will also release, at a later date, a standard edition Blu-Ray release of Lupin the 3rd: Part IV. The difference here is that this Standard Edition will only feature the English Dub and will be exclusive to the All The Anime Shop. Confused? 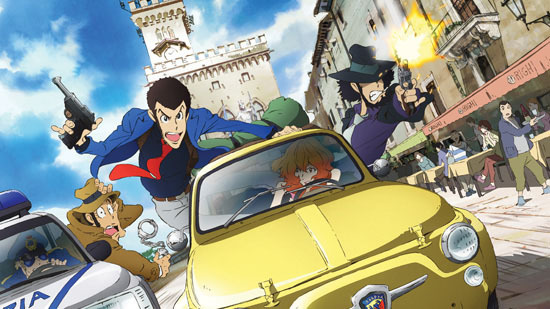 Well according to Anime Limited Lupin the 3rd: Part IV was originally broadcast in Italy using different video assets to those used when broadcast in Japan and when the English Dub was produced the Italian video assets were used rather than the Japanese video assets. As the video materials are different between the Japanese and Italian/English versions it is not possible to add the English Dub to the Japanese video and as such two separate releases have been produced. Those wishing to own all variations of Lupin the 3rd: Part IV will have to purchase both the Collector’s Edition Blu-Ray (Japanese only) and the Standard Edition Blu-Ray (English only); fortunately Anime Limited are offering a special promotion whereby those who purchase both from the All The Anime Shop will receive a discount when compared to buying separately. Those wanting a DVD edition of Lupin the 3rd: Part IV will be disappointed as they only plan to release the series on Blu-Ray. Further details surrounding this release, and promotion, can be found on the Official Anime Limited blog, but basically the Collector’s Edition Blu-Ray release, which will be in Japanese with English Subtitles, is scheduled to be available on the 28th May 2018 while the Standard Edition Blu-Ray, which will be in English only, will be released a later date.